Cimicifuga racemosa flowers. plants.oaklandnursery.com (Accessed 1/2018). 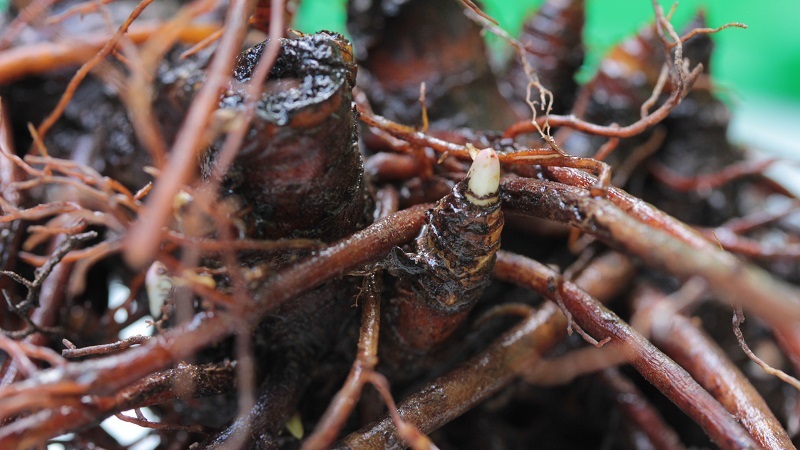 Cimicifuga racemosa (black-Cohosh) roots. Ayur Times Health Care. ayurtimes.com (Accessed 1/2018). Cimicifuga racemosa is a perennial herb, 1-2.5 m tall, from a knotty rhizome. 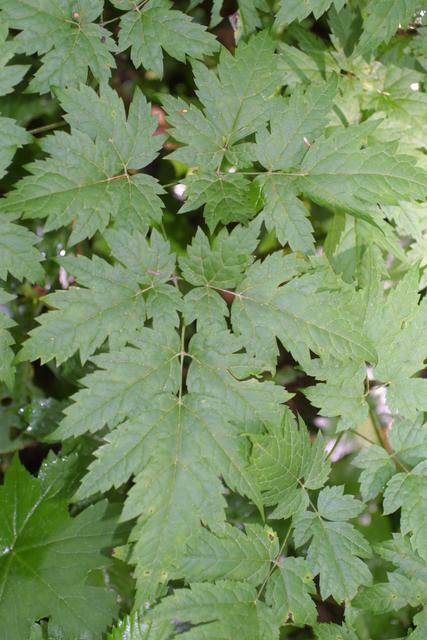 Cimicifuga racemosa leaf. © Copyright Steve Baskauf, 2002-2011. discoverlife.org (Accessed 1/2018). Leaves alternate, 3-parted, each segment pinnately once or twice compound, leaflets toothed, lobed, 3-10 cm long. Flowers white, small, sepals 5, to 0.5 cm long, no petals, stamens white, numerous to 1 cm long; inflorescence 20-80 cm long, branched; blooms Aug.-Sept.
Cimicifuga racemosa flower close-up. © John Pickering, 2004-2017. discoverlife.org (Accessed 1/2018). Fruit dry capsules 0.6-0.9 cm long with several seeds. No apparent seed dispersal mechanism. Migration to distant or disconnected forest sites is slow to non-existent (Matlack 1994). 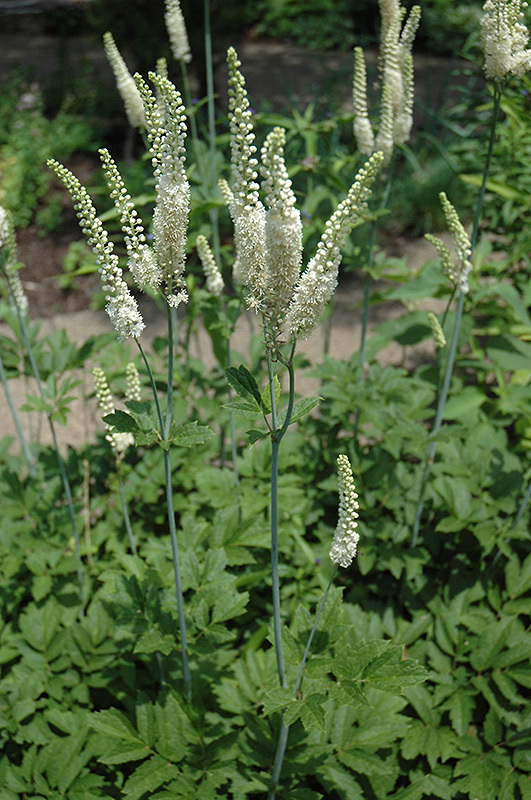 Cimicifuga racemosa (Actaea r.) black cohosh. fruit. en.wiktionary.org 004 (Accessed /2018). Habitat: Upland woodlands. A forest interior herb (Matlack 1994). Notes: Poisonous. 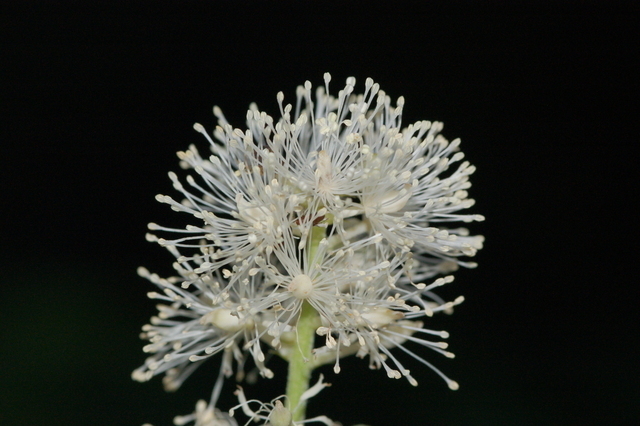 Plants in the genus Cimicifuga have recently been included in the genus Actaea. Used as a remedy for menopausal hot flashes. 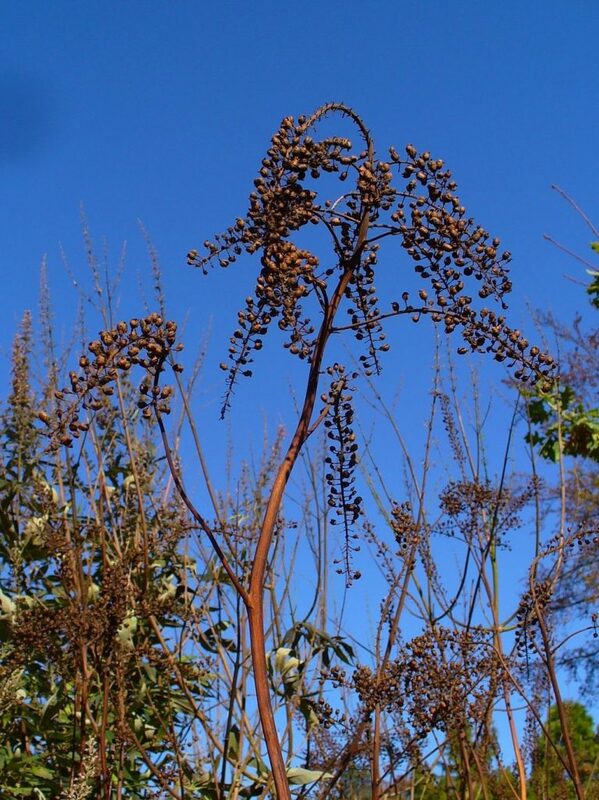 According to https://articles.extension.org, “Common diseases found on black cohosh consist of several leaf spots and root rots, including rhizoctonia. Rhizoctonia solani can cause damping off of young, emerging black cohosh seedlings”.